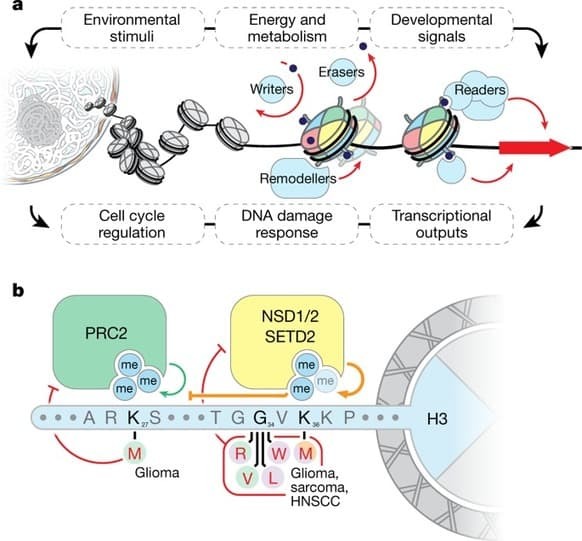 The characterization of missense histone mutations that occur across several cancer types provides insight into the potential role of these mutations in altering chromatin structure and potentially contributing to tumour development. Margin guidelines affect breast cancer surgical trends. Rates of breast-conserving surgery (BCS) for early stage breast cancer increased and repeat surgery decreased following dissemination of 2014 margin guidelines, according to new findings.